Bradley University Nursing - This site, shown in a screen shot, offers articles and links to explanations and drawings to help you understand the information listed in the screen shot. Thank you Eva Harris for recommending this site! 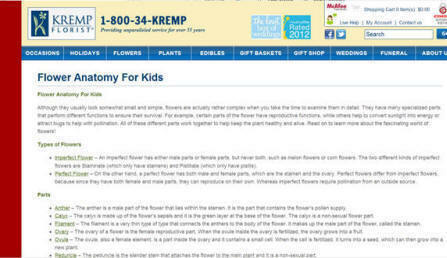 Kremp Florist's Flower Anatomy For Kids - This site was suggested by Frannie Davis, a science student teacher for Seattle Public Schools. (By researching some of Kremp's links, I have been able to provide additional links to games which are listed below.) Thanks, Frannie, for your recommendation! 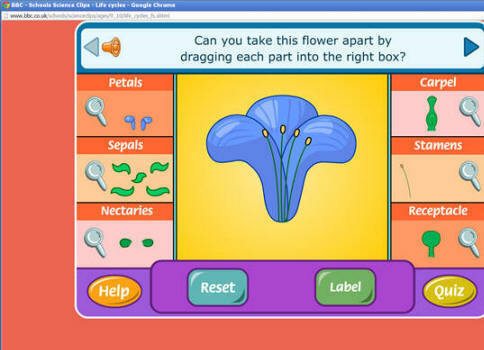 Parts of a Flower Game - This game, provided by the BBC for students ages 9-10, teaches the parts shown in the screen shot. Note: Students sometimes need to move more than one of each given part in order to get to inside structures. 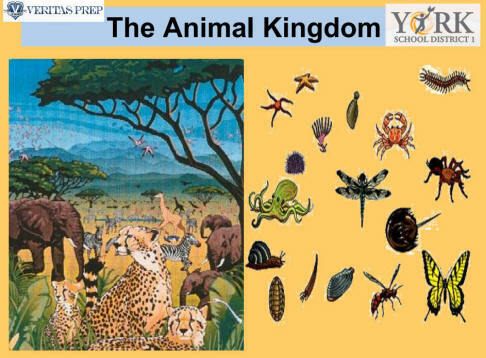 The Six Kingdoms - Veritas Prep introduces the six kingdoms and provides links to sites which have excellent illustrations and facts. 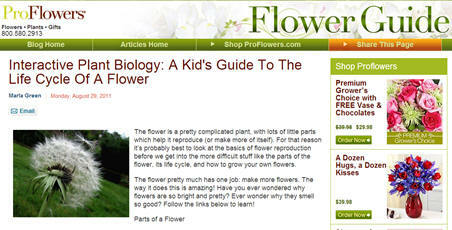 Thank you, Michelle Green's Science Club, located in Nebraska, for recommending this site!